In most cases, users are just happy to get an AOSP-based ROM on their devices. Which flavor of AOSP is usually inconsequential, as just having a vanilla experience is more important than which specific vanilla experience. After all, most people consider true Android to be far better than any OEM skin. 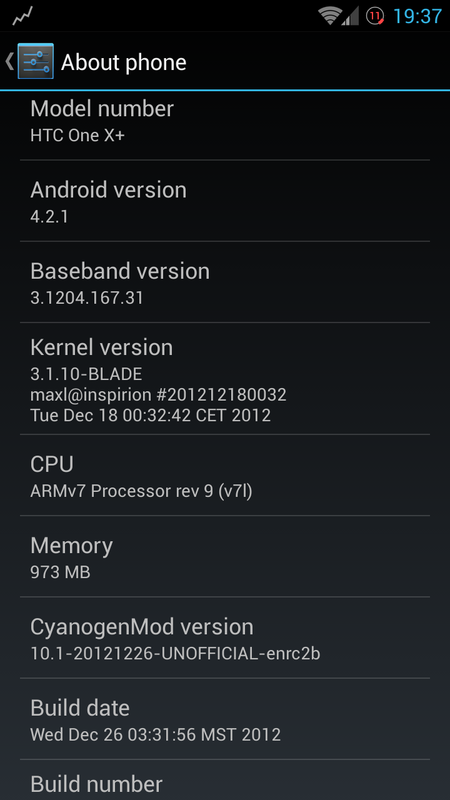 The HTC One X+ now has not only Android 4.2 AOSP, but also CyanogenMod 10.1, and Android 4.2-based AOKP. While the CM10.1 ROM has only the camera as an issue, data problems can be unpredictable and vary from person to person. So it could very well be an issue on both ROMs as well. As the camera is a frequently used feature, many won’t find these ready for daily use quite yet, but work is being done to fix everything. XDA Senior Member maxwen has been working on the AOKP offering for the One X+. While the number of serious issues seems to be zero, as even the camera is reported working by some, users have had a myriad of other, smaller problems with the ROM. This includes no video recording, paid apps not working properly, and some other minor things. As per the norm, experiences will vary. To check these ROMs out, head over to the vanilla, CM10.1, and the AOKP threads.